Damian has been involved in the work of Rwanda Restored for a number of years through membership of the Thornhill Community Church and friendship with the charity’s founder, Geoff Lane. He became a Trustee in January 2017, and has recently taken over as Director of the charity from Geoff. He undertook his first visit to Rwanda in February 2017, where he saw the charity’s work first-hand. Damian has worked in the electricity generation industry for over 20 years as an engineer and team manager, at both power stations and head offices around the UK. He is currently the head of the Centre of Competence for Performance Engineering within RWE Generation SE. Damian has Diploma level management qualifications, and is currently studying to be a coach-mentor with his company, RWE Generation UK. He is based in north Wiltshire and married to Nicola with two young daughters. Damian and his family attend Cirencester Baptist Church. 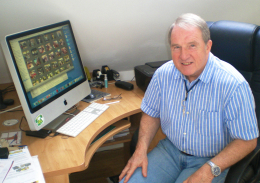 Roger has been a trustee since it was formed and is the treasurer of the charity. 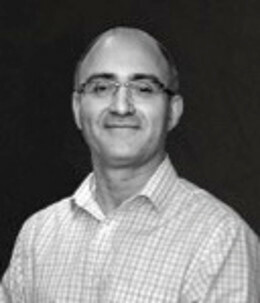 He attends an evangelical church in Walmley, West Midlands and is a qualified Chartered Public Service Accountant with over 30 years experience in local authority finance.He has extensive financial experience at all levels particularly in social housing and other community projects including Financial Director of Birmingham City Mission. He lives in Lichfield, Staffs and also serves his local community. He has visited Rwanda on 5 occasions. 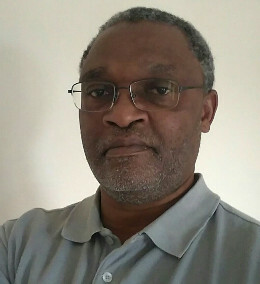 Benson became a Trustee in 2017. He has worked in higher education for over twenty years. His experience in research and teaching of science at university level repeatedly highlights the value of quality education and the need to ensure access for all. He attends Thornhill Community Church, Cardiff. Mark became a Trustee in January 2017. He served for 10 years as an Army Officer and has worked internationally in areas of conflict with the British Army and United Nations. 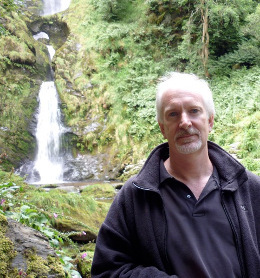 Mark has worked as a Psychological Performance Coach, Therapist and Consultant for the last 22 years both in the UK and internationally with a wide range of organisations and individuals. Mark has developed a unique and motivational style as a public speaker. He presents on subjects such as Corporate Wellbeing, the Psychological Impact of Change, Leading Change, 21st Century Communication, and numerous subjects relating to leadership, management, team and personal development, stress management and developing resilience. He is based in Cardiff and married to Kathryn with two sons. Mark and his family attend Thornhill Community Church in Cardiff. Dave has been involved in assisting Geoff with Rwanda Restored matters for the past five or so years. 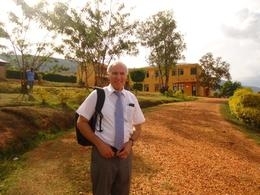 He has accompanied Geoff to Rwanda on one occasion so far in 2013 and now acts as the secretary of the charity. After retiring from an 18 year term engagement in the RAF as an Air Traffic Controller, he moved to Saudi Arabia where he was first an Air Traffic Controller for two years and then an Air Traffic Control Instructor at the King Faisal Air Academy in Riyadh for 25 years until retirement in 2011. Married to Lyn, with three children and eight grandchildren, he lives in Cardiff and is a member of Thornhill Community Church. 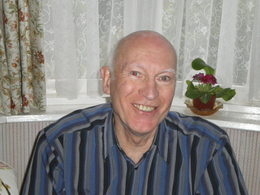 Geoff Lane spent most of his working life in Human Resources in the food industry in South Wales. He and Ruth his wife felt called to India for a period of time. After working in India for three years among the poor in a mission in the southern part of India,he had the opportunity to visit Rwanda in 1999 and began to establish different projects. As the work grew, many challenges became apparent as so many needs were seen, he registered Rwanda Restored as a charity in 2006 after several visits to Rwanda. He has now been to the country on over 40 occasions and is a member of Thornhill Community Church, Cardiff.